Every handful of months, the craft beer behemoth Samuel Adams releases a variety pack to add some consolidation to their endless lineup of brews. My first craft beer was actually from the Sam Adams Winter Classics pack. Mmmm, Chocolate Bock. While my palate has become much more sophisticated over the years, the place in my heart for variety packs has not waned. While 24 bottles of any brew may be overkill for a novice craft drinker, the heart of a variety pack is the ability to share and discuss; this is also one of the common traits of craft beer drinking behavior worldwide. From the "create a six pack" at your local bottle shop to these mass produced variety cases, the theme is the same: try a bunch with some friends and find what you like! The Samuel Adams Spring Thaw pack is a collection of 6 beers each brewed in the spirit of shaking off that winter freeze (and warming winter brews) to make way for lighter, fresher offerings. From and IPA to a Spring Lager, Sammy Adams does their best to provide a variety of beers that run the gamut of fresh and light brewing styles; a friendly introduction to any drinker unfamiliar with their brand. Break out a cooler and fire up that grill, let's get that chill off your bones. Samuel Adams is owned by the Boston Beer Company and headquartered in, you guessed it, Boston, MA. It was founded by Jim Koch, Harry Rubin and Lorenzo Lamadrid in 1984. Alpine Spring is one of the calling card seasonals of the Sam Adams namesake. Every Spring, you can count on this beer to appear en masse from grocery stores to bars and beyond. At first glance, Alpine Spring seems to be some sissy beer that you feed BMC drinkers who aren't ready to take the true craft journey. Under the frilly label however, is a brew worth checking out regardless of palate development. This beer has the characteristics of a couple of different styles, a early year frankenstein of brewing if you will. It is an unfiltered, balanced lager with a higher alcohol content (5.5% ABV) than most other traditional Spring beers. If Sam does one thing right with this beer, its blending the lightness of the season with a refreshing flavor collection. The moderately thick, crisp drinkability of this one is tough to match. It's a pretty yeasty offering, with a high malt character and pretty understated finish. I found myself fishing for the other flavors (hops? citrus?) and falling short, but that may be the focus of Alpine Spring; the season is about growth and after all. Overall, this is a nice introduction to the season. I'm sure you won't be disappointed if you pick up a few bottles or buy a pint or two during happy hour. 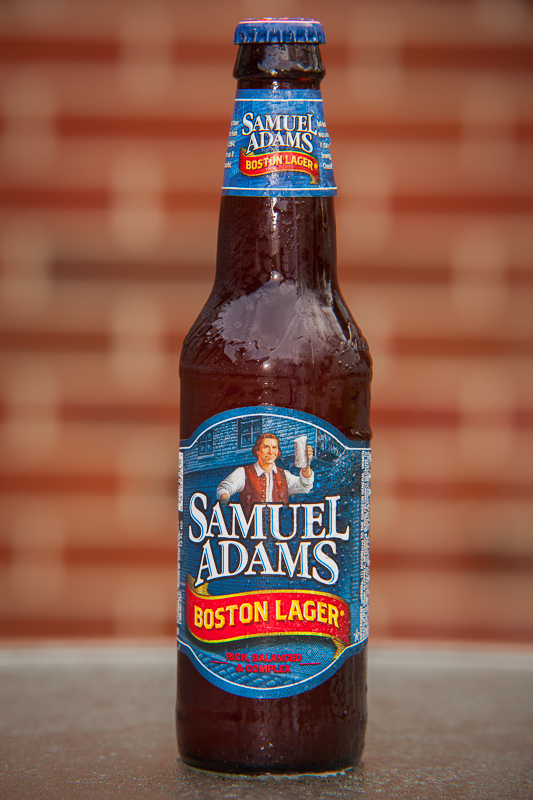 Boston is known for a few things, one of which being this staple of the beer industry, Samuel Adams Boston Lager. This beer is popular enough to have spurned its own glass, commissioned by the brewery. Anywho, Boston Lager is as consistent as popcorn at a movie theater, gasoline in a car's tank, blood in your veins or awesomeness in my aura. Ok, maybe not so much, but you know what I mean. You can't go wrong with this beer, it's a quintessential piece of American history. You can't really call yourself a beer drinker if you've never tried this, no matter your feelings. To break this brew down a bit for those of you that haven't (you should be on your way to your local bar to get a pint right now), it is a medium bodied, yeasty, malt canvas with a sweet caramel hint that lingers throughout the drinking session. The hop combination isn't overpowering or unbalanced, it melds right into the bready depths of this lager adding yet another complexity for your palate to toy around with. It's the perfect session beer with a very low ABV (4.9%), so add this to your cook out cooler or grab a pint when catch the next baseball game. The stars and stripes demand it. IPL, you say? Why yes, yes it is. Sam Adams decided to bring the characteristics of the typical IPA over to the lager side of things and honestly did a solid job, though my opinion changed the more I drank this one. I started out very high on the overall flavor profile, with lots of grapefruit and pine from the hops combined in Double Agent. The 5% ABV made this a very sessionable beer, however that was not my experience. The more I drank this one, the more a very peculiar metallic or artificial taste crept into each sip until it became extremely aggressive and bullied the whole glass. I lost almost every other flavor. I also witnessed this with the Cherry Wheat and Blueberry Hill Lager from this brewery, though I'm not sure it couldn't have been a defect in all of my bottles. Irish Red is my second favorite beer from this pack. It is extremely balanced and is equally malty underneath and hop forward. It is a little heavier than some of the other Spring Thaw brews at 5.8% ABV, but there's absolutely zero alcohol in the taste. The big plus for this iteration of the Irish Red Ale style is SA's unique downplaying of hops while keeping the bitter bite in the finish. Some consider this a detriment; I've heard everything from the beer tasting watered down to being all over the place. That characteristic is what really carves out Sam Adams Irish Red's place in both the brewery and the Irish Red Ale style. Of course, these are just my opinions and it is always best to form your own opinion. I'd love to hear your thoughts. I love this beer. Everything you would assume because of the naming is spot on. Sigh, I just want to strap a keg of this to my back for any outdoor activity. Or indoor activity. Or sleep. At 5.6% ABV, I could probably do that and get away with not being sloppy drunk. This beer is one of the strongest offerings of the pack by far, with the only competition in execution (in my opinion) being Irish Red. The maple flavor is the perfect compliment to the roasted malt, creating a sort of syrup covered, pecan topped pancake taste. I love beers that do a great job in guiding your brain and palate to familiar flavors that don't "fit" the liquid mold. I'm sure you got a little excited when you thought about drinking syrup covered pancakes. If you didn't, you should have! I'm crowning Maple Pecan Porter king of the Spring Thaw pack and one of the best Samuel Adams beers I've had. Availability: Rotating, it appears in the Fall and Spring alike. White Lantern, White Lantern... As much positivity as I have stored up to pen to you guys about this offering, I just feel a bit jaded. Beyond anything else, this beer is as close as you can get to a Blue Moon clone without label swapping or homebrewing. Maybe it's the expectations set by some of the other brews in the pack, but this one is a definite miss. It's mildly sour, while maintaining a watery mouthfeel. It sports a 5.5% ABV and has a slight orange peel character, which gives the basis for the Blue Moon comparison, but White Lantern is lackluster. I wouldn't drink this one again.